I genuinely can't comment on whether this is a retrograde step or not. The last time I visited the GRO's search room in Dublin was well over a decade ago, and I think in different premises to where it is just now. I'd flown over for the day from Glasgow, and after looking up the first index entry for a certificate, I went up to the counter to ask for a photocopy of an entry from the register. The attendant looked at me and told me "The guy doing the photocopying is doing a course today". Oh right. "Fine," says I, ever the optimist, "who's doing it instead?" - "No-one is," came the typically civil service reply of the time. "Great stuff," says I, "that's about as useful as a fart in a spacesuit". I didn't stay much longer, and have never returned. 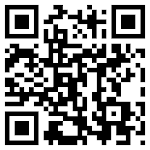 I order all certs/photocopied extracts from the GRO in Ireland by post now, and that will soon change to an email based service. The GRO for Northern Ireland (www.nidirect.gov.uk/gro) will also be launching a new online site from early next year (and revamping its current online site this Autumn). But as quoted in Eastman's piece, it's odd timing considering it's in the midst of the Gathering. My new book, Tracing Your Irish Family History on the Internet, is now available from Pen and Sword. 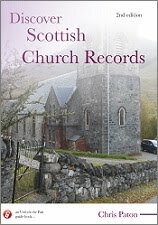 My Scottish land and church records ebooks are available at http://www.gen-ebooks.com/unlock-the-past.html, whilst my next Pharos Scottish course, Scottish Research Online, starts Sep 4th - see http://pharostutors.com/details.php?coursenumber=102. Time to smash a few brick walls...! I remember the old Pearse St search room as being rather like you describe it, but you are a bit unfair to the current search room in Abbey St Lower, which is friendly, comfortable, conveniently located and most of all FAST in its service of giving out photocopies of certificates. The staff are clued up to what family historians need (the refusal of GROIRE to move with the times is not their fault). If what Clare Santry, who broke the story, says is true about the new location then we are headed back to the dark days of how it used to be. Until GROIRE moves to put its already computerised records online as in Scotland and Northern Ireland, then providing an environment for visiting researchers that is both comfortable and welcoming is a must. I made no comment on the current premises - I've never been. Similarly, I've never returned to the GRO premises in Belfast, after a similar experience ten years back, when you weren't even allowed to see the registers, someone had to read out the entries to you like you were a child. The point is if governments don't bother to get these things right, people just may not bother to return, there are other ways. MAJOR NEWS - And the new baby's name is....! Barnardos photos to be destroyed?